Dr. Mark Hyman: Dr. Drew Ramsey is a father, a farmer, and a psychiatrist. He’s also a leading innovator in mental health and he’s here to say that food matters. He lives with his wife and children in New York City and on their 127 acre organic farm in rural Indiana. Welcome Drew. Dr. Drew Ramsey: Thank you Mark. It’s a pleasure to be here with you. Back when I was a baby psychiatrist, I had just finished residency and we didn’t really talk a lot about food. Is there anyone thinking about brain food? And there was nobody except you. I’m here in part because of you. Dr. Mark Hyman: When I started practicing Functional Medicine, I would take care of patients’ physical health by things like improving their gut health, immune system, nutritional status, and hormones. With all these simple things, well simple through a Functional Medicine lens not what typical doctors do, I found that their mental health got better. Their brains got better. At first it was kind of confusing to me because there’s this thing called the blood-brain barrier. What happens in your body, stays in your body, like Las Vegas. But it turns out that’s not the truth. I jokingly call myself the accidental psychiatrist. Bipolar, OCD, depression, ADD, anxiety, all these problems got better. Things like Parkinson’s and dementia also got better. What is going on here? I began to really look at the data. This was 10 years ago and there was quite a bit of data even back then but now I look back and realize it was in its infancy. Even now, there aren’t many psychiatrists talking about gut flora and mood or the immune system or hormones. Dr. Drew Ramsey: That’s changing.That’s one of the exciting things that’s happening now. Food is medicine is becoming something that is more embraced and understood as really critical especially to prevention. People are starting to talk about it. There is a randomized clinical trial for straight up clinical depression last fall using a probiotic. Two randomized clinical trials looking at the Mediterranean style diet to treat clinical depression. They’ve showed tremendous benefit. The part that concerns me is that nobody gets food to start with. Nobody gets much instruction around food when you get put on medication. We don’t mention food and that’s a huge blind spot both for health care in general, but really for mental health. Your brain consumes more food than any other organ in your body. People would say that we don’t talk a lot about food and we don’t in our training programs yet but that’s in part because, like all of medicine, there is this very slow translation. We have research findings and how do we quickly begin to adjust our clinical care model to reflect that research? A couple of clinical trials and a whole lot of correlational data showing food matters for depression, you would think that every center interested in treating depression would at least have a nutritionist there. It’s not happening as much as it should. With your psychiatric license or your psychology license or wherever you are in the mental health care system, just encourage patients as we do with so many other lifestyle factors. Give them a little nudge. Dr. Mark Hyman: Yes, sleep, stress, exercise. I mean exercise they say works better than antidepressants. Dr. Mark Hyman: I always say it is hard to not be depressed if your thyroid is not working or your vitamin D is low or your omega 3 fat is low. Dr. Drew Ramsey: It’s impossible not to be depressed. Dr. Mark Hyman: All that stuff is good. You can work on your beliefs, on your past history, your lineage, all those things really are great but it’s so much easier if you are not struggling against these physiological systems making you sick. Dr. Drew Ramsey: You can’t engage in your mental health if you are nutritionally depleted or if you have really awful sleep hygiene. 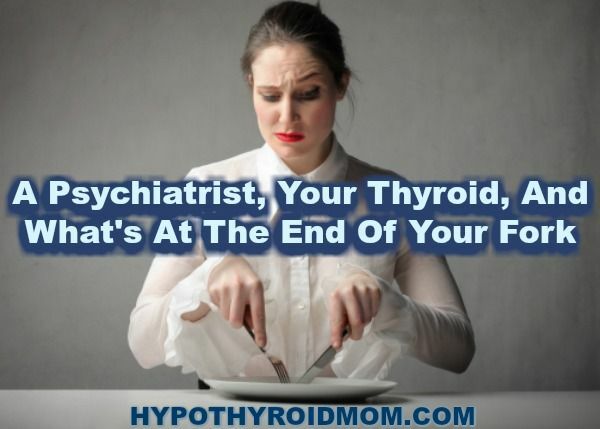 If you are in a bad mood and irritable or have low energy because your thyroid is off or your B12 is low, we’re going to spend a lot of time talking and theorizing why that might be when actually there is no psychological reason for it. It’s that your cells are thirsty and hungry. Look at the nutritional insufficiency rates in America. What’s a critical brain nutrient? Zinc. 48 percent of Americans don’t eat enough of it every day. Vitamin E, probably one of the most important fat soluble vitamins and 96 percent of Americans don’t meet the recommended daily allowance. Dr. Mark Hyman: Magnesium, 48 percent are deficient. And fish oil, omega-3. Dr. Drew Ramsey: We don’t even have a recommended daily allowance of long-chain omega-3 fats, unlike every other developed country in the world. Dr. Mark Hyman: If someone has depression, anxiety, mental health issues, what are the ways of eating that actually cause a problem and then we’ll get into the way of eating that can actually fix the problem? Dr. Drew Ramsey: That’s such a great question. Let’s start with the problem at the end of your fork. Everyone knows that I’m about to say “sugar”. Everyone knows that I’m about to say “trans fats”. Everyone knows that I’m about to say “processed foods”. Dr. Drew Ramsey: What’s striking to me as a psychiatrist interested in behavioral change and as an eater and as a parent, how do you change those from being concepts to being behavioral and action-oriented items in your own life? What’s causing the problem very simply is not getting enough of the right nutrients and I would argue that a lot of Americans are missing a set of nutrients. Americans are not getting phytonutrients because they are not eating plants. Americans are not getting seafood because they eat 14 pounds per year, period, and it’s fish sticks not the seafood that we would want them to eat. There is also a problem in the missing spirituality around food. We’ve lost our soul about food. When you tell people to eat well there is a notion that costs too much or it takes too much time or I don’t know how to do it. What’s on the end of the fork that’s causing the problem? Well, first of all, people aren’t eating with a fork. People aren’t taking a deep breath and engaging their digestive system. People are eating on the go. People aren’t offering up gratitude or thanks for the food. Dr. Mark Hyman: There is so much data. There are amazing studies looking at the rise of omega 6 fats and the decrease in omega 3 fats leading to violence, homicides, suicides. I remember once finding a letter on my desk. It was from a prisoner who wrote me a letter after reading my book The UltraMind Solution. He wrote that he was a violent criminal all his life and realized that he was a very different person after changing his diet. They’ve done prison studies where they give prisoners healthy diets and they reduce violent crime by 56 percent. If you give them a multivitamin, it reduces crime by 80 percent. Dr. Drew Ramsey: I’ve been inspired this month by a biography about Benjamin Rush. He is one of our youngest founding fathers. He was the second youngest signer of the Declaration of Independence. He is our original American physician. He is also our original psychiatrist. He founded the first mental hospital and he helped us found this country on a very simple principal which is that when we think about mental illness we can’t put people in asylums and say they don’t have spirituality or they are sinners or they are bad people, that we as physicians are going to treat them as patients and we are going to care for them. That has just inspired me to really think about what’s happening in our country and how bad our mental health has gotten. We all know about it and we’re now all starting to talk about it. We were founded as a place where we should have freedom to talk about this. Dr. Mark Hyman: Drew, you wrote this paper published September 2018 in the World Journal of Psychiatry which is an analysis of food and its impact on mental health. Dr. Drew Ramsey: The paper is called Antidepressant foods: An evidence-based nutrient profiling system for depression. I wrote it together with my colleague Dr. Laura R. LaChance. We went through the literature looking at which essential nutrients, vitamins, and minerals have significant evidence that they can help prevent depression and that they can be used to treat depression. There were 12 that we found. Twelve Antidepressant Nutrients relate to the prevention and treatment of depressive disorders: Folate, iron, long-chain omega-3 fatty acids (EPA and DHA), magnesium, potassium, selenium, thiamine, vitamin A, vitamin B6, vitamin B12, vitamin C, and zinc. The highest scoring foods were bivalves such as oysters and mussels, various seafoods, and organ meats for animal foods. The highest scoring plant foods were leafy greens, lettuces, peppers, and cruciferous vegetables. Watercress topped the list for antidepressant plant foods. Why does it top the list? Lost of nutrients, very few calories. The food categories that people should be looking for are things like leafy greens, the rainbow vegetables, more seafood, and, if you are eating red meat, look towards more wild red meats or grass-fed red meats. Dr. Mark Hyman: This is fascinating. The diet that prevents cancer, heart disease, dementia, depression, and fixes most chronic illness is the same diet. Dr. Drew Ramsey: In medicine, we separated out mental health and brain health from the rest. All those same activities we want for good general health are key to your brain and mental health. Dr. Mark Hyman: The trouble with our food supply is that it is often depleted even if you are eating the best foods. You have an organic farm and the soil matters. Most of our soils are depleted. Dr. Drew Ramsey: There are chemicals and chemicals. Dr. Mark Hyman: If even organic isn’t the best that it could be, the question is do we need nutritional supplements? Do you use nutritional supplements in your practice? Dr. Drew Ramsey: I think that, even with the food we have today, you can still get all the nutrients you need. It’s actually challenging if you look at all the recommended daily allowances and you think about what you would need to eat to meet that. I always tell people to eat nutrient-dense food and you’ll be fine but if you start scratching your head and adding it up, it can be tough. I don’t like turning a meal into a math equation. I’m 44 and I stopped taking all supplements probably about 10 or 15 years ago. That’s not entirely true. I’ll take a little omega-3 sometimes and certainly in my practice for non-seafood eaters or for individuals who only eat seafood now and then especially for individuals who don’t want to try medicine. I’ll put them on fish oil. In the science of depression, fish oils are one of these things that has statistical significance but is not able to show clinical significance in the meta analyses. Dr. Mark Hyman: But you can’t be taking fish oil and be eating processed oils and you can’t be eating a pound of sugar. Dr. Drew Ramsey: The bottom line is that there are certain supplements that should be tried especially when people are struggling with traditional antidepressant response. I’ll see a lot of people that have been put on a medicine and it works some like with cheerfulness and sleep but they are not eating well and they are not going to start eating well. That’s a really good example of somebody who should take a multivitamin or something with zinc or magnesium and certainly anybody who is low. Dr. Mark Hyman: Do you test your patients? Dr. Drew Ramsey: I don’t do extreme, or as thorough, testing but I certainly test every patient. We see cases of a thyroid problem, B12 deficiency, syphilis, there is a bunch of biological causes of depression, that get missed sometimes. This is not even functional medicine, this is just basic medicine. Dr. Mark Hyman: In my practice I see common deficiencies including vitamin D, magnesium, omega-3 fats, sometimes iron, and the B vitamins. I find that giving people a multi, fish oil, and vitamin D and maybe a little magnesium usually has enormous impact. Dr. Drew Ramsey: This is the next frontier work, as you know. We’re going to start really getting into precision psychiatry. It’s an exciting time between the new knowledge of the microbiome and the psychiatric genetics, which is not there yet but man it’s getting close. We’re going to see the tide turn on our mental health epidemic. I want us to stop meeting patients when they are mentally ill. I want us to start meeting patients when they are mentally well and help them stay mentally well. Mark Hyman, MD, is the Medical Director at Cleveland Clinic Center for Functional Medicine, the Founder of The UltraWellness Center in Lenox, MA, regular contributor to the Today show, Good Morning America, and The Dr. Oz Show, and an eleven-time #1 New York Times Bestselling author. Drew Ramsey, MD, is a psychiatrist and founder of the Brain Food Clinic in New York City. He is a clear voice in the mental health conversation and one of psychiatry’s leading proponents of using nutritional interventions. He is an assistant clinical professor of psychiatry at Columbia University College of Physicians and Surgeons. READ NEXT: DEPRESSION. ANXIETY. ADD. LEARNING DISABILITY. BRAIN FOG. YOU COULD BE MISSING THIS FAT. Wondering after reading several articles if going to a Naturopath might be a better choice to diagnose/treat hypothyroidism. The connection between thyroid health and mental health is definitely very strong. It is very important to make sure nutrition needs are being met – as research studies have indicated mental and thyroid health depend on certain nutrients such as Vitamin D, as mentioned in the article. Please add me to your group. Thank you.